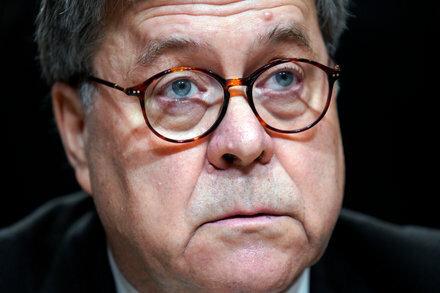 Barr’s testimony in the Senate Appropriations Committee is riveting - in that Barr stand firm on what he believes, which conveniently aligns with the T administration. He talks about the ‘unauthorized’ investigation and terms it as “spying” on Candidate T.
He has a few questions from Sen Feinstein about whether the Atty General should uphold ‘big’ laws that the Supreme Court has upheld - see ACA, and Barr says that he feels that many states do not like ACA and therefore it should be struck down. House lawmakers on Wednesday approved a Democrat-backed bill that would restore rules requiring AT&T, Verizon and other Internet providers to treat all Web traffic equally, marking an early step toward reversing one of the most significant deregulatory moves of the Trump era. But the net neutrality measure is likely to stall from here, given strong Republican opposition in the GOP-controlled Senate and the White House, where aides to President Trump this week recommended that he veto the legislation if it ever reaches his desk. The House’s proposal, which passed by a vote of 232-190, would reinstate federal regulations that had banned AT&T, Verizon and other broadband providers from blocking or slowing down customers’ access to websites. Adopted in 2015 during the Obama administration, these net neutrality protections had the backing of tech giants and startups as well as consumer advocacy groups, which together argued that strong federal open Internet protections were necessary to preserve competition and allow consumers unfettered access to movies, music and other content of their choice. More damning evidence that T was fully aware and directed hush money be given to the ladies who were involved with him. Now what? Federal investigators in New York, looking into payments to Stormy Daniels and Karen McDougal, questioned longtime aides of the president early in the probe and amassed more evidence than previously known. As reported by the intelligence newsletter OODA Loop, the JIB stated that, while the FBI and DHS “previously observed suspicious or malicious cyber activity against government networks in 21 states that we assessed was a Russian campaign seeking vulnerabilities and access to election infrastructure,” new information obtained by the agencies “indicates that Russian government cyber actors engaged in research on—as well as direct visits to—election websites and networks in the majority of US states.” While not providing specific details, the bulletin continued, "The FBI and DHS assess that Russian government cyber actors probably conducted research and reconnaissance against all US states’ election networks leading up to the 2016 Presidential elections." If the administration succeeds at dismantling the Office of Personnel Management, the closure could be a blueprint for shuttering other departments. The White House is moving to do what no president has accomplished since World War II: eliminate a major federal agency. The agency would be pulled apart and its functions divided among three other departments. An executive order directing parts of the transition by the fall is in the final stages of review, administration officials said, with an announcement by President Trump likely by summer. OPM employees were briefed at a meeting in March. For Trump, the breakup of the 5,565-employee federal personnel agency would offer a jolt of bureaucratic defibrillation to a slow-to-change workforce that the president and his top aides have targeted as a symptom of a sluggish, inefficient government. It’s not easy to wipe out a federal department, especially one that serves 2.1 million employees across the government. 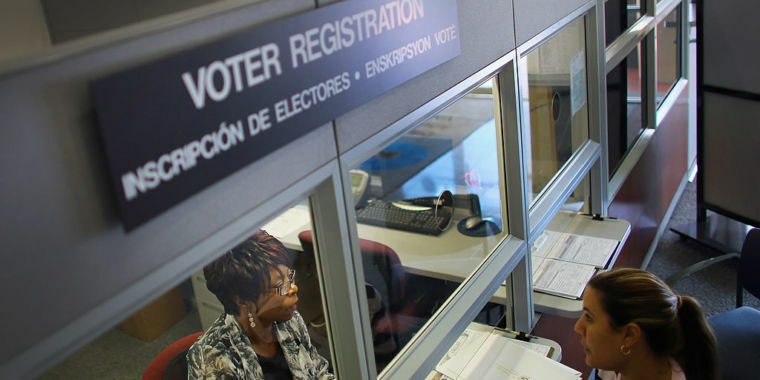 The White House is short on details even as it prepares to move employees out of OPM’s headquarters in downtown Washington. Officials were not able to estimate the short- or long-term savings of the closure. The White House is attempting to dismantle the agency in several stages, with some steps beginning now and other changes delayed pending congressional approval. Oh and Trump shared some anecdotes on TV. Trump said he would have to make that call after listening to harrowing stories about illegal immigration during a meeting with supporters. Trump relayed to the media some of the anecdotes he had been told about the danger on the border. The president also said that the troops sent to the border have to use more restraint than they otherwise would. “Our military, don’t forget, can’t act like a military would act. Because if they got a little rough, everybody would go crazy,” Trump said. “They have all these horrible laws that the Democrats won’t change, they will not change them. And I think they will pay a very big price in 2020 for all of the things, whether it is the fake witch hunt they start out, or whether it is a situation like this. I think the border is going to be an incredible issue,” Trump said. 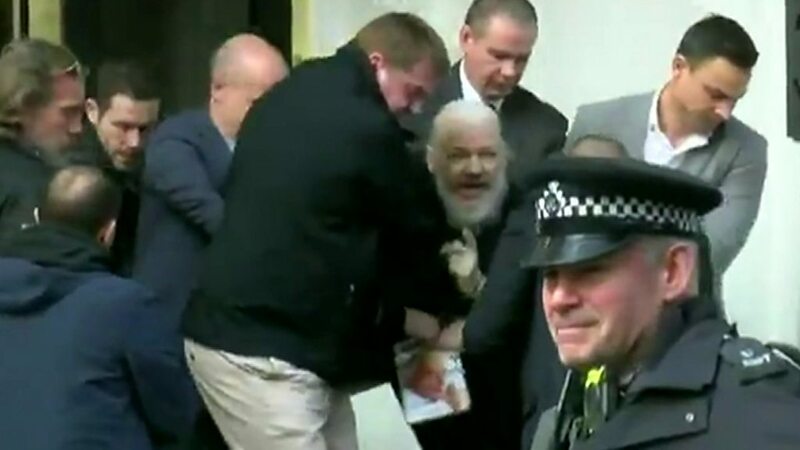 Assange has been arrested in London…on US Extradition Warrant. We know he has a sealed indictment in US, revealed in some unredacted materials mistakenly revealed. 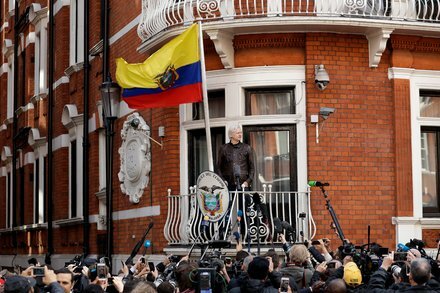 Mr. Assange, the founder of WikiLeaks, took refuge in the Ecuadorean Embassy in London in 2012. He was arrested there on Thursday after Ecuador revoked his asylum status.